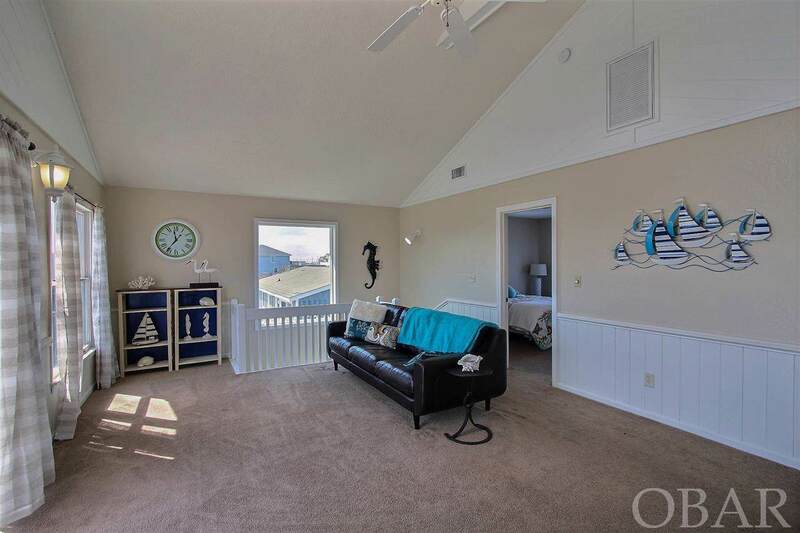 This beach cottage is easy, breezy and ready for you! 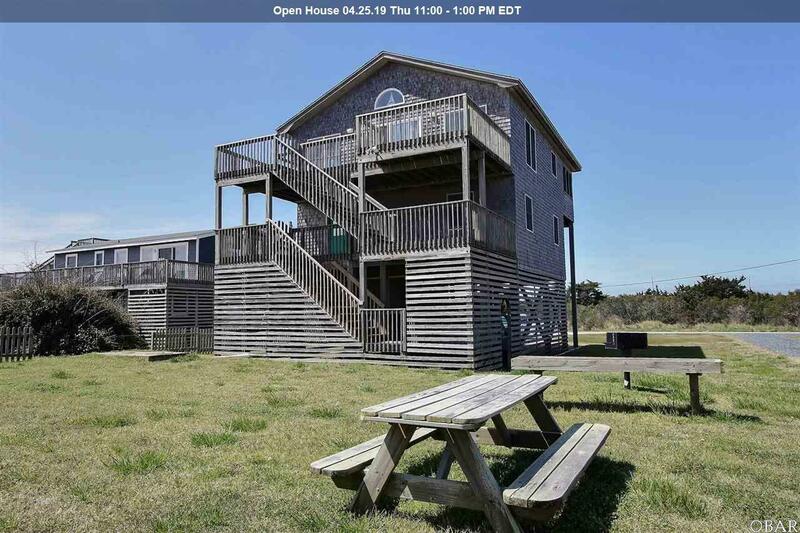 Hearing the lull of the ocean waves and seeing the lovely views of the ocean and sound from the decks of this home will immediately put you in the zen mode. 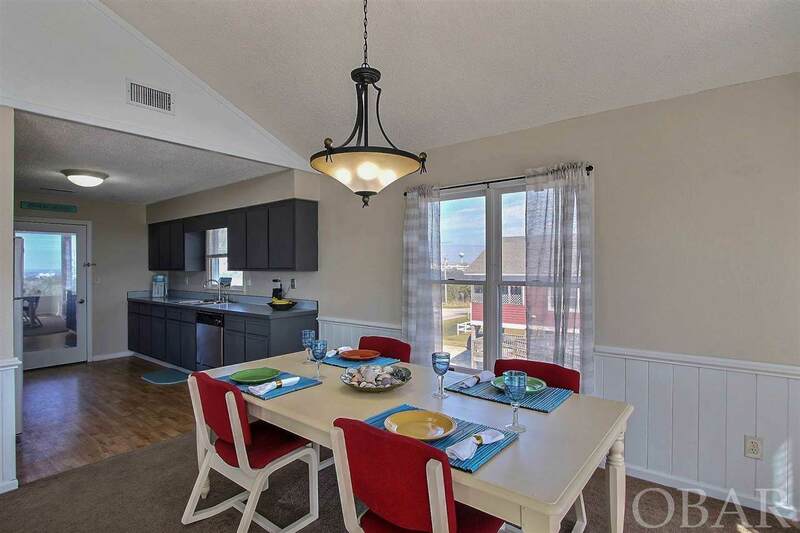 Freshly painted reverse floor plan with two master bedrooms, one on each level. Use as a second home or make your house work for you with rentals. 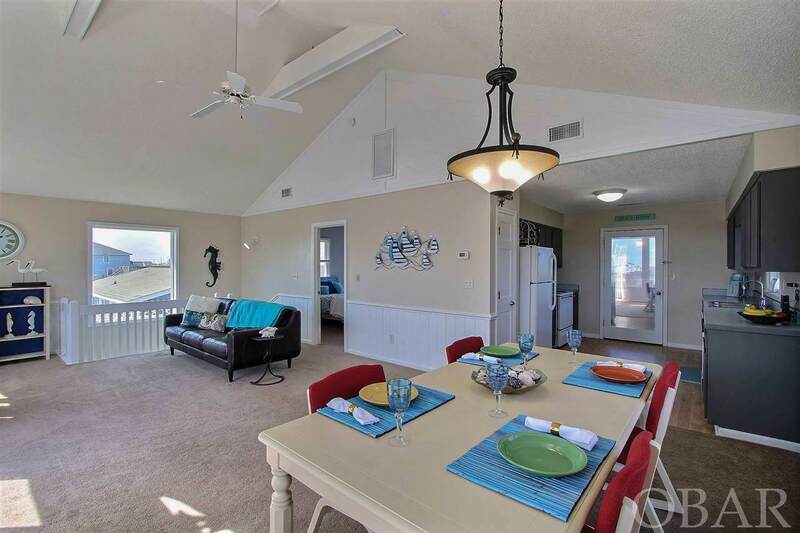 Close to the fishing pier and walk or bike to Rodanthe's favorite restaurants and shops.